April is Fair Housing month, and we thought we’d bring you some Charlotte landlord advice and information regarding an aspect of Fair Housing: service and companion animals. We are seeing a lot more request for service and companion animals, and I’m sure you may be as well. You have to be careful as a landlord, especially when you are determining whether you will or will not allow a service or companion animal. According to the Department of Housing and Urban Development (HUD), service animals are not considered pets. You may have to ask if your tenant has a disability and if that disability-related need for a service animal exists. So, if you have a tenant who has a readily apparent disability; maybe they are visually impaired and you know that because you see a walking stick or something that leads you to believe there is a visual impairment, and they tell you they need a Seeing Eye dog, you cannot ask for documentation to prove that they need the animal. However, if that disability is not readily apparent, you can ask for documentation for the need or the disability-related need for a service animal. The biggest thing to remember is that these animals are not pets. They are there to help with the quality of life for a tenant with a disability. You should be mindful and aware of this fact. There is information on HUD’s website about service and companion animals if you’re not familiar with the laws. One other thing to consider is that your tenant might request to have a vicious dog breed or an animal that may be inherently dangerous for your community or your property. If this happens, you can consider not allowing it, but talk to an attorney first. If you have any questions about Charlotte property management or how to protect your Charlotte rental properties against a Fair Housing claim, please contact us at Rubec Properties. 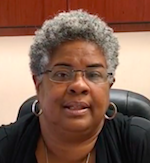 Sometimes, we need to file evictions on behalf of the owners we work with, and there’s a lot we notice when we attend the hearings and handle these matters. We observe many things during eviction hearings, so we wanted to share some Charlotte landlord advice with you and hopefully help you make the eviction process a little easier, if you have to file an eviction yourself. If your lease does not provide for a waiver of notice, you must send your tenant a letter demanding payment. It’s called a Pay or Quit Notice, and it informs the tenant that rent has not been paid and you would like your past due money. You’ll need to give your tenants 10 days to respond. If they don’t respond, you visit the clerk of the court and file for an eviction, or a summary ejectment. When you’re filing, you must complete a civil service member’s affidavit. This is a new requirement and is very important. You can find the necessary form on nccourts.org. You’ll need to confirm that your tenant was or was not in the military, and then file your eviction. At the hearing, you will also need to submit a judgment form for the magistrate. You can also find that on the court website (nccourts.org). Also, when you go to the hearing, the judgement forms will be available on a table as you walk in the courtroom. The magistrate will ask you for it, so complete as much of it as you can. Don’t put any information into the judgment amount on the form, but everything else needs to be complete. Finally, have a copy of your lease and the rental ledger available. The magistrate might ask for that, especially if you don’t use a North Carolina Realtors Association lease. Among other things, they want to see if your lease waives notice. These are a few things that will help you in the Mecklenburg courts. If you have any questions about evicting someone from your Charlotte rental home or anything pertaining to Charlotte property management, please contact us at Rubec Properties. Is Your Kitchen Pantry Full? Is your kitchen pantry full? Unfortunately, there are residents of our City who do not have food for their next meal. 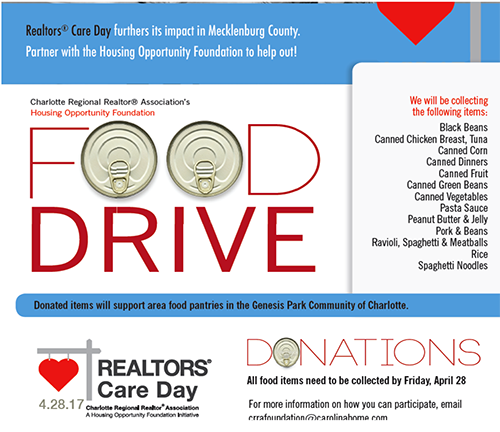 RuBec Properties is soliciting donations for the Realtor Care Day Food Drive. Please help us help Genesis Park Community stock its food pantries. Donations can be brought to our office between 8:00 a.m. and 5 p.m. Monday through Friday. 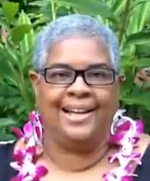 I am on the beautiful island of Maui today, at the National Association of Residential Property Managers (NARPM) convention. There is no distance too far to travel when it means gaining knowledge for our customers and clients, and that’s why we are here. Today, we’re talking about the importance of making your Charlotte rental home ready for the rental market. There are so many things that go into making the property rent ready. It’s an essential part of renting your property because if it shows in an appealing way, it’s easier to rent the home quickly to great tenants. You never want to show it to prospective tenants before it’s cleaned, repaired, and empty. The things that make your property appealing are fresh paint, clean carpets, clean cabinets, and appliances that are clean and working. These are the major things that prospective tenants look at when they are viewing your property. Colors are okay to have on the walls and the floors, but they should be neutral. It helps for a person to see a property that’s vacant, as well. Another very important factor is curb appeal and landscaping. When a person drives up to the property, they don’t want to see chipping paint on windows, debris in the yard, or grass that hasn’t been cut. That will cause good tenants to keep driving. Instead, show them a beautifully mowed lawn and nice shrubbery. All your landscaping should add to the appeal of the property. Charlotte and Mecklenburg are such competitive areas for rental properties. There are a lot of gorgeous homes on the rental market, and we must put our best foot forward to make your property the one that high-quality tenants want to rent. For more Charlotte landlord advice, or any help with Charlotte property management, please contact us at Rubec Properties. I am in beautiful Maui, Hawaii at the 28th Annual National Association of Residential Property Managers (NARPM) convention. One of the topics we’ve been discussing a lot at this conference is tenant screening. Today, I’m talking about how to find the best tenants for your Charlotte rental home. At Rubec Properties, we do a very thorough tenant screening when we are looking at applicants who are interested in your home. This screening process includes four things: a credit check, an employment check, a rental history check, and a criminal check. When we look at all those things together, we’re able to put together an accurate profile of the tenant who wants to live in your home. We do check the credit score of any applicant. People always ask if we do, so we know it’s important to landlords. While we do look at the score, we’ve found that the credit score is not always the most important factor in determining whether someone will pay their rent or not. So, we take the score in addition to their previous rental history to determine whether we believe they will be tenants who pay rent on time. When former landlords tell us that they have never been late with rent, we know that they are likely to continue paying on time. crime, you cannot hold it against them. They must be convicted to be excluded from your property. Always look at the full picture – credit, rental, employment, and criminal histories to find out if an applicant would be a good renter for you. If you have any questions about Charlotte tenant screening, or anything regarding Charlotte property management, please don’t hesitate to contact us at Rubec Properties. As you probably know, the city of Charlotte – Queen City – is on the rise and has received a lot of national attention for its rapid growth and development. We are attracting a lot of investors to the area who want to take advantage of the outstanding real estate market here. The city of Charlotte has attracted a number of corporations and businesses to the area, including major banks and companies in the medical/healthcare industry. We also have a number of proud colleges and universities, all of which help sustain above-average employment for our residents. The Queen City is now officially one of the top 20 cities to live in, according to U.S. News & World Report. Charlotte has beat out Atlanta and Charleston, becoming a stand-alone destination city and no longer in the shadow of other southeastern locations. Our estimated median household income in 2015 was $53,000, and our growing population will soon exceed one million people. It’s a great metropolitan city to invest in. You may be curious about the best places to invest in Charlotte. Our most popular areas to buy real estate for the purpose of rental income include several neighborhoods and communities. In the south part of the city, you can invest near Charlotte Douglas International Airport, including the Steele Creek area, which borders our state line and Lake Wylie. In west Charlotte, we recommend looking at Rozzelles Ferry Road and Beatties Ford Road. In east Charlotte, you should consider investing along our newly completed 485 highway, which includes the Plaza Road extension. And north of the uptown area, which is actually Charlotte’s downtown district, you can find great investment opportunities close to Highway 77 and Interstate 85, including Highland Creek. Concord and Kannapolis are also desirable neighborhoods and areas that attract good tenants. Despite the shock you may get looking into traditional apartments in Charlotte, Mecklenburg County is considered one of the most affordable places for millennials to rent, and these rental homes are still cheaper than buying a house. If you decide to inv est in Charlotte, you have a great opportunity to increase your investment portfolio. For over 10 years we have managed investment properties in Charlotte and Mecklenburg, so please contact us at RuBec Properties if you have any questions about investing here. The rental market is hot for real estate investors now! Rental rates continue to rise and according to the following report from the Mecklenburg Times, Charlotte has the 2nd highest rents in the state. Rates are rising in the entire country. This is the real estate investors’ happy place, however, the market is competitive, as well. If an investor offers an inviting house which means that it presents well – clean, no trash, broken windows, marked up walls, it should be pretty easy to find a good qualified tenant. In addition to rents rising, we also have to remember there are those who are not running to the purchase homes right now. So, the stage is set, the rest is up to you as the investor!!! Charlotte is the second-most expensive city in which to rent in North Carolina. That’s according to a recent report by Apartment List, which put the median cost of renting a two-bedroom apartment in the Queen City at $1,150 in June. Charlotte also had the second-highest rate of rental growth in the state, with rents rising 3.5 percent from June 2015. Asheville came in as the most expensive N.C. city for renters, with the median price on a two-bedroom unit at $1,200. In addition to being the most costly, Ashville rents showed the most year-over-year growth, at 5.6 percent. Nationally, rents increased 2 percent in June from a year earlier. The median price for a two-bedroom apartment came in at $1,300 last month. Apartment List said that annual rent growth was strongest in Colorado Springs, Colorado, where rents rose 9 percent from a year ago to $1,000 per month. Despite a 1.5 percent drop in the median rent over the last year, San Francisco continues to be the most expensive city in the nation. Median rents on two-bedroom units were $4,650 in June. New York City, where rents have dropped 0.4 percent since over the last year, came in second, with median rents at $4,600. The least expensive city in which to rent was Huntsville, Alabama, where the median rent on a two-bedroom apartment was $580 last month. Fort Wayne, Indiana, ranked second-lowest for cost, at $640. Apartment List, based in San Francisco, publishes its rent reports each month. The company’s website aids potential renters in finding an apartment via the listing of several hundred thousand available properties. Love it or hate it , here comes DAYLIGHT SAVINGS TIME!! Change your clocks 1 hour ahead. Great time to change those smoke detector batteries. Happy Spring from Rubec Properties!